Ruthless, unpredictable, mean and craving for power. 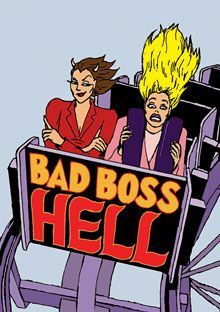 Thousands of employees are being harassed by a disastrous boss. 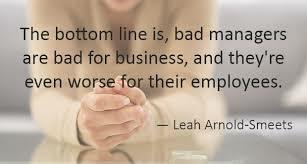 I would suggest that anyone with a career in companies will sooner or later encounter a terrible supervisor. What can you do about it? Some labour experts performed a survey amongst employees to find out the opinion about horrible bosses. You will think some of their sayings are unbelievable. Some of the expert’s advises might actually work. 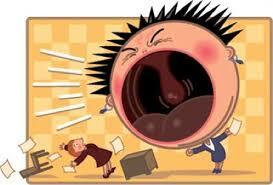 Read on and find out what to do when your boss is a nightmare. Want out of the rat race anyway, and become your own boss, then click here. I am quoting one participant: “Indeed, my boss is a disaster: he is crap, without vision, no support. I always feel that I am losing weight, that I have to put in a terrible effort and still do not well enough. I’ve been struggling for over a year now and it takes so much emotional energy from me. Every day I come home exhausted. ” The call from experts to people who have experiences with nightmare bosses provoked many distresses and fierce reactions: ‘If I could shoot him I would do it’, someone openly confesses over his now ex-boss. Anyone who has ever had a tyrannical manager will recognize these desperate stories. A manager who shows utterly unpredictable behavior, regularly outbursts in anger, conducts a divide-and-conquer policy, constantly shows he is the most powerful. Such a person can spoil every pleasure in your work. 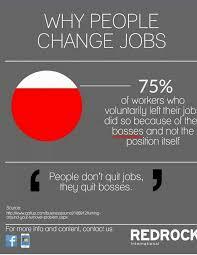 It is certain that disastrous bosses can be very harmful to their working environment. Employees can literally break down. Far too many chefs force their employees into sick leave. This is also the fault of the organizations that do nothing about it. The victims are constantly struggling with questions. Is it really that bad or am I imagining things? Am I the only one who suffers from it? Can I change it? And if the frustrations get really high: do I have to go on or call it quits? If so, where do I go? ‘In the morning I first check his facial expression before I decide whether I should inform him about something. Things that are sensitive are saved for “the right moment”. I also go my own way as much as possible and inform him afterwards. Then I will get scoffed at, but at least it is done in my way. Usually he turns normal after a few days, “a participant in the survey informed us. There is a personality structure that makes erratic bosses mentally mistreat their employees under certain circumstances. That sounds like that boss is a serious psychopath who actually belongs in an institution, but according to experts that is not the case either. The flaw is usually limited to contact with people who depend on him. As long as the disaster boss does not have to deal with people but with matter – computers or money – he often functions well. “He is antisocial, plays games, gossips, and goes street fighting if he is not right. Many employees have now been dismissed. Except himself. ” Anyone who has great difficulty with the annoying behavior of his supervisor must make a plan. The main question is then: stay or leave? Can you as an employee improve the situation or is there really nothing to do about it? I think you should set yourself very clear terms within which things must change, otherwise a situation arises in which you tolerate everything but continue to complain. You have to make an active choice and make sure that trouble does not come to you. Keep it in your own hands is said to be a good strategy. Do not let yourself get sick by an organisation, that’s your responsibility. You will have to draw the line yourself. Yet many people ignore this logic and they stay much longer than is healthy. “They do not want to face the worst of it. It is particularly unreasonable and unfair that you have to leave. It is not easy to take your loss. ” Experts advise you to resign in most of the cases. The boss always wins. What counts is the right of the strongest, and in a company the boss is the strongest. That this is not always true I have described here. Moreover, most bosses have poor self-insight. For example, many managers believe that they coach well and offer their staff plenty of development opportunities, while employees feel that they are falling short in those areas. Only persons who can stand can their ground very well can try to address the situation. But it is a decision that requires careful consideration. Because the messenger is at great risk. Colleagues who initially support you can drop out again. In nine of the ten cases you will just get a snap back: What are you actually concerned with? Many personnel departments choose management for fear of their own position. And even if they raise the case with the management, they are not going anywhere. I have seen a lot of protective behaviour in organisations regarding these types of disaster bosses. Then the management says: can be, but it is a damn good guy so we have to accept it. A question of buttering up their boss, yet kicking out to their staff. “I am looking for something else. I want to find appreciation, a good working atmosphere and opportunities to develop myself, which is very important to me. 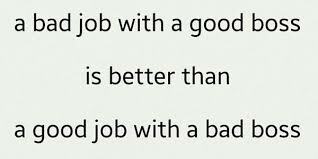 And that is missing from my job (read boss). Too bad actually, because I have a lot of nice colleagues and it is a nice kind of company. Actually, I would like to kick him out of the factory. Sorry I’m not his boss, “someone responded. Before the decision is made to leave, it is recommended to make a list of pluses and negatives about the work. Maybe all signals are red, but it can only be one. And maybe the boss will leave in the long run. ‘Focus on the positive aspects: the nice colleagues, the good salary, the short travel time and find your ambition – for a while – outside work. ‘Get out of here!!!!! Find a place where you can develop yourself. Maybe you do not have that fat salary, but you will have more pleasure in your work, ‘advises a participant. Many victims of disaster bosses will eventually do this too. I have written an article helping you what to do when losing a job. But perhaps the most important thing is to prevent the next boss from being a disaster boss again. You have to know what your motives are in your work. People who consciously want to make a career move or want to develop certain talents are less susceptible to atmosphere. They think: I do this for two years and then I am gone again. But if it is important for you to work in a nice team, then you have to look carefully at your future boss and colleagues at the job interview. You have to follow your instincts. What are your experiences with ashole bosses. You can share them here in the comment box. Maybe you are not cut out for the corporate jungle anyway, then I would advise you to become your own boss and even work from home. This can be done using the internet and its search engine Google and having the right support. Read here about the world’s best internet business support program. I’ve run into quite of few of those (what they believe to be) ruthless managers, supervisors, team leaders, etc. They all have different titles but their actions say the same thing. They don’t want to be there any more than you do! This was great information Jerry and to anyone reading this I fully believe following Jerry’s advice and striving to learn everything you can will result in you actually leaving your job when thats all your ruthless manager wishs he could do. great article! Thanks you for your great contribution to my article, Brandon. Yes, managers come with many names and in all shapes, but their characteristics might be similar. Compared to two decades ago and the enormous growth in the internet opportunities, I has now become a very viable option to become your own boss through online selling, marketing. Affiliate marketing is one of the best options.